The famous “Pastoral Symphony” that serves as an instrumental interlude before the Christmas section in Handel's oratorio Messiah was originally entitled “Pifa”. The composer alludes to the music of the pifferari, the country bagpipers who descended the Italian mountains during the Christmas season to play in village streets. 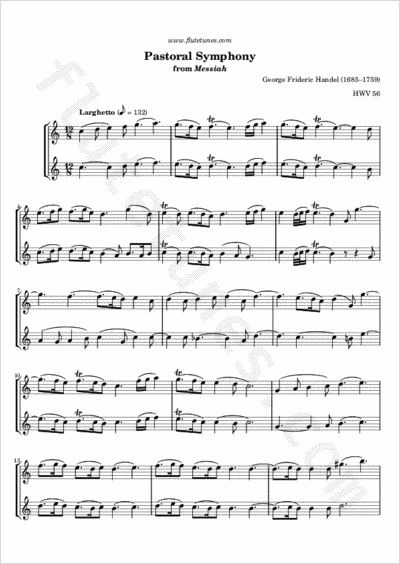 James Galway included a solo version of this piece in his album Pachelbel Canon and Other Baroque Favorites.